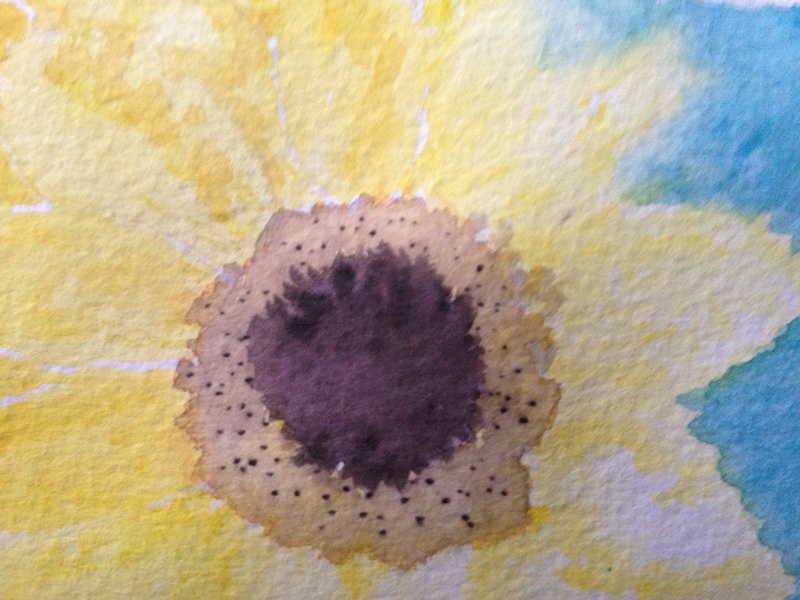 I originally intended to do a detailed watercolor study, but a weekend afternoon nap was shouting my name, so I decided instead to fade the flower into the background and go for more of an impressionistic feel. If I’d have had more time, I’d have punched up the yellow a bit to give more of a contrast against the blue, but still I like this one, and may revisit it again one day when time allows. I promise the letter Z won’t be a yawn this go-round. I hope you’ll tune in tomorrow and see. We might just start the Friday dance early this week! < X …. ok, X marks the spot! Love the details in the yellow! There´s so much light and optimism in this painting, beautiful!!! Loved this one! Great job.. the yellow makes it stand out. Thanks! 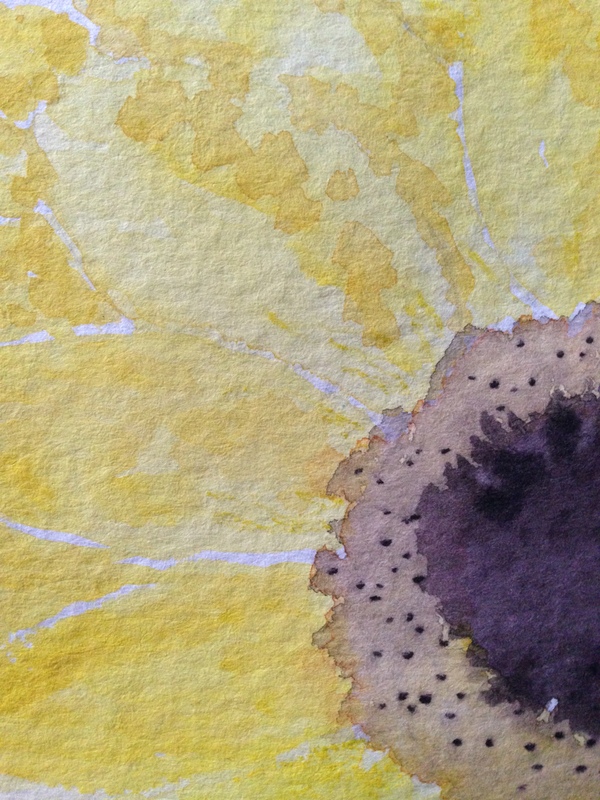 I have so much to learn with watercolor, but I do like the brightness of the yellow in this too. Thank you, so do I! It’s Inktense by Derwent. Love the colors. I was just wondering if spring would ever come when I gazed upon your lovely flower. Thank you. It cured my cabin fever here in “sunny” Michigan. I’m so glad you enjoyed it! I hope to paint more flowers in the future. Spring is coming! I do like the yellow however I am more drawn to be beautiful purple in the center. Thank you. I like the center too.